Two plainclothes officers who walked into a crime in progress on Thursday night shot and killed a man they said was armed with a knife. 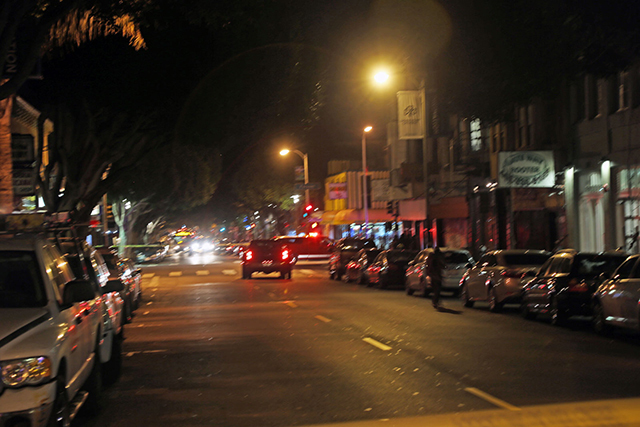 The victim, witnesses told police, was chasing another man on Folsom at 9:45 p.m. He had allegedly been trying to steal the man’s bicycle. It appears that both officers fired their weapons, according to police. The plainclothes officers had their department-issued stars visible on their outermost garments,” police reported. “The officers will be placed on paid administrative leave per department policy,” Macdonald wrote. The incident is being investigated by the SFPD homicide detail, the SF District Attorney’s office, and SFPD Internal Affairs. So far, police investigators have found that the slain suspect was attempting to rob the victim of his bicycle. “The victim was not injured and thanked officers for intervening,” Macdonald wrote. Police are withholding the slain man’s name until his next of kin have been notified. “We anticipate holding a town hall meeting sometime early next week, as is customary after an officer involved shooting,” Macdonald wrote. Rusty Hodge, who was nearby, wrote in an e-mail, “I was walking down 24th, approaching Harrison, when I heard four shots in close succession. The sound came from the direction of Folsom, and sounded close. Officers quickly sealed off the blocks from 23rd to 25th Streets and from Shotwell to the other side of Folsom Street. Other nearby residents said they heard three shots. I heard the shots from four blocks away. Definitely more than three shots, but all in very quick succession. Followed immediately by the sounds of many sirens. Police on PA ordering a suspect to the ground on York Street b/t 25th & 26th. 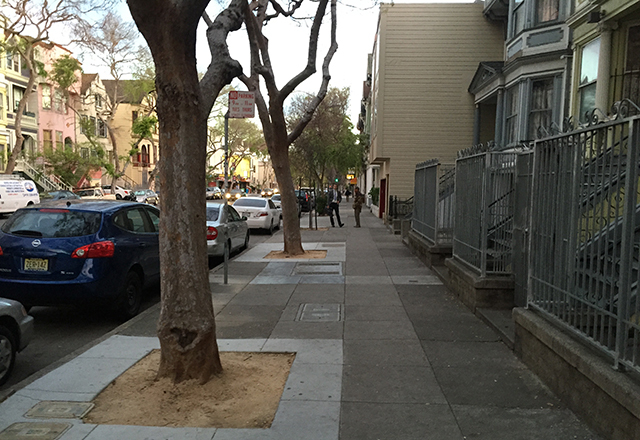 I was crossing the street at 25th and Folsom when it happened and it sounded more like five shots. Until last May, I lived right just to the right of where that top photograph was taken (the first fence on the right was my neighbor’s). This makes me feel better about having moved to Oakland.